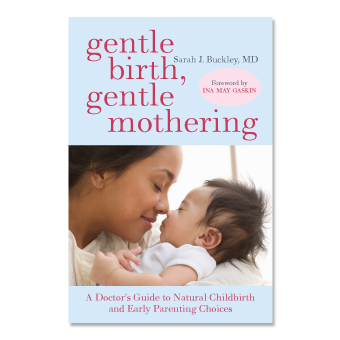 INTERNATIONAL SPECIAL A Doctor’s Guide to Natural Childbirth & Gentle Early Parenting Choices Beloved by professionals and parents globally, Sarah’s best-selling book gives information & confidence for the best possible start. Beloved by professionals and parents worldwide, Sarah’s best-selling book gives information and confidence for the best possible start. Gentle Birth, Gentle Mothering answers your important question and gives you the information you need to create a safe, satisfying, and gentle start to family life. 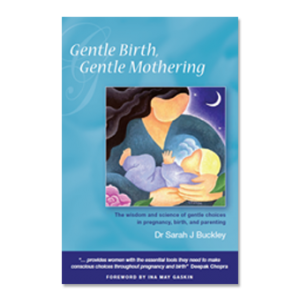 Dr Sarah Buckley, family physician and mother of four, explains in easy to understand language the logic, safety and benefits of natural birth and gentle parenting, using the best medical evidence. She also explains the conditions we need to optimise the flow of the “ecstatic hormones” that every woman’s body produces during a natural labour and birth, and that continue to support her during early mothering. Which simple approaches will help you to make the best choices in every area of pregnancy and birth? Should you accept testing for gestational diabetes? Are antibiotics necessary in labor to prevent group B strep? Is it better to be induced for going overdue? Is ultrasound safe for your unborn baby? What are the risks and benefits of epidurals? Is a cesarean safer than a natural birth? When is a cesarean really necessary? Is it safe to have a vaginal birth after cesarean (VBAC)? How can you and your baby have the best possible cesarean experience, if really needed? Is homebirth a safe choice? How can you choose your homebirth midwife? How does birth affect us, individually, as a society, and in our relationship to the Earth? What are the “ecstatic hormones” of labour and birth and how do they work, for mother and baby? Why is it important to not disturb mother and baby during the hour after birth? Is it safer to clamp your baby’s umbilical cord soon after birth or later? Is it a good idea to bank your baby’s cord blood? What is lotus birth and how might it benefit you and your baby? Can gentle early parenting benefit life-long brain and emotional development? Will breastfeeding continue to benefit your toddler? Hoe can you get the best sleep in the early weeks and months? What do you need to know to share a bed safely with your baby?